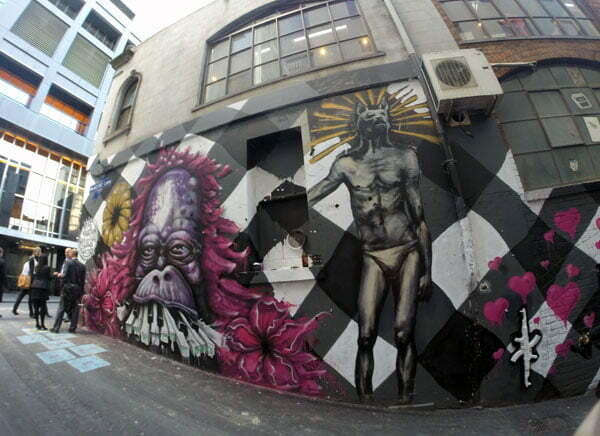 Welcome to Melbourne’s street art scene! 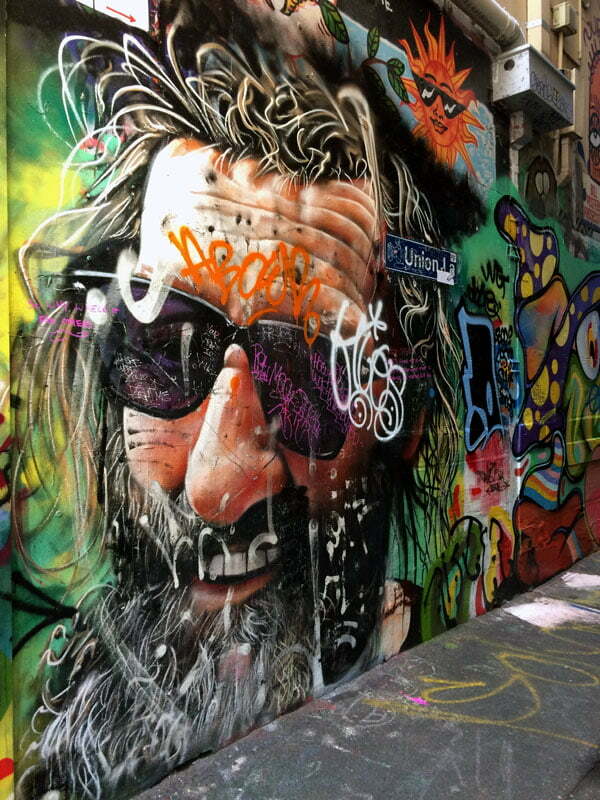 To say that Melbourne‘s street art culture is thriving is an understatement – walk its famous laneways and you are greeted with a colourful cacophony of art. 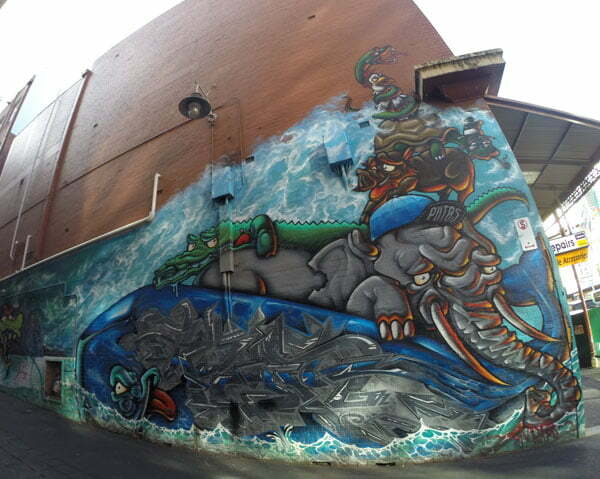 You’ll probably find it harder NOT to come across amazing street art in Melbourne. 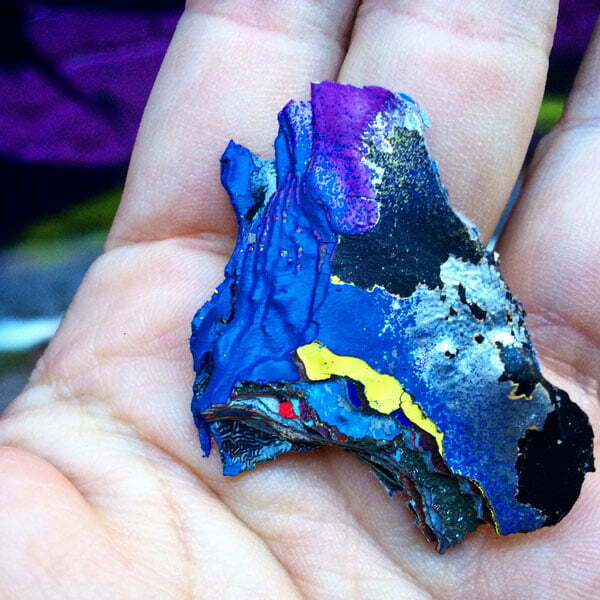 A piece of Hosier Lane’s wall – that’s what years and layers of compacted aerosol paint looks like when you peel it off! 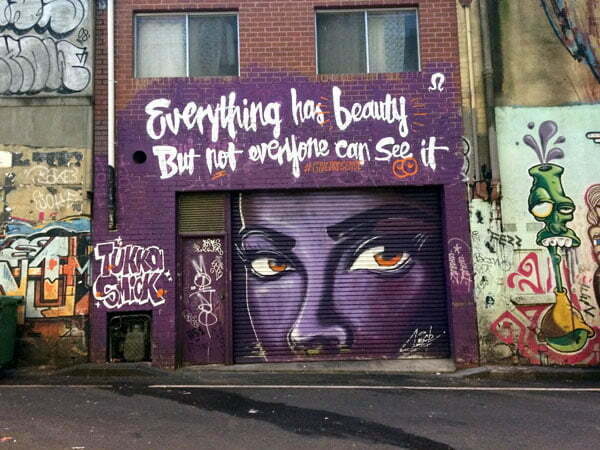 I’ve visited various cities for their street art like Penang, Hongkong and Lagos, and taken street art tours in London and Lisbon…(There’s a full list of my street art guides here) but there’s something about Melbourne’s scene that feels a little different from these. 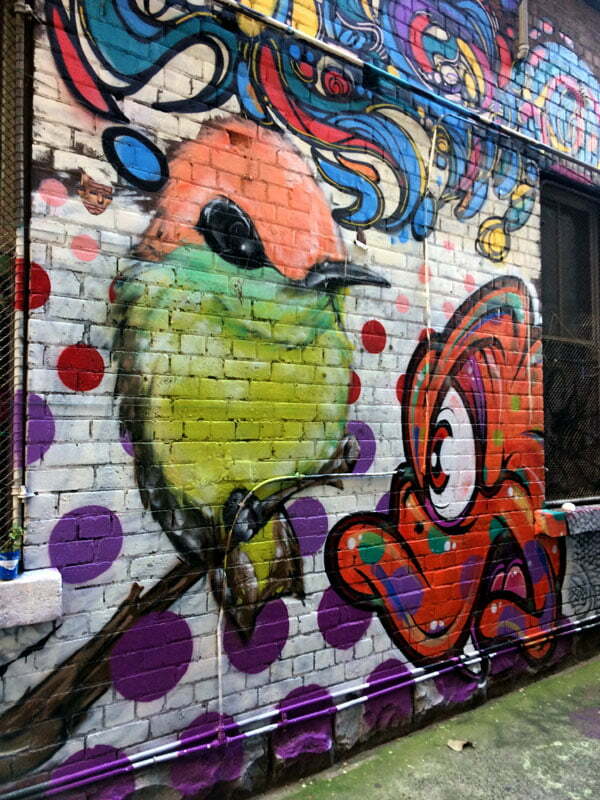 It feels less curated – there are the commissioned murals and large-scale art works, but these sit amidst a whole load of graffiti tags and amateur scribbling, which conveys a sense that the community actively embraces the form and its artists no matter what level they are. 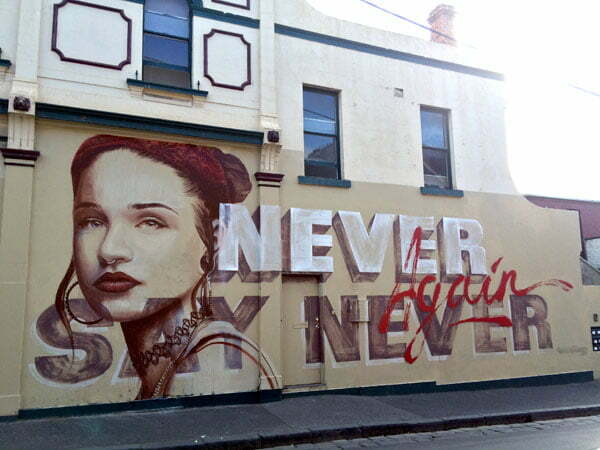 The works here also tend to be more temporal and ever-changing – which is the true nature of street art – to me a sign of the growth of the scene as the artists keep pushing themselves to practice more and create better. 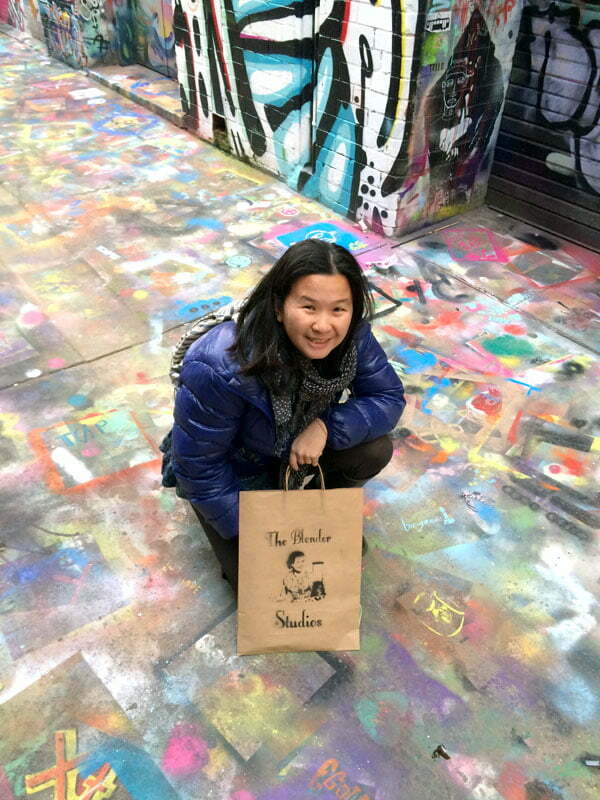 One of the first things I booked on this trip was the Melbourne Street Art Tours run by the folk at Blender Studios, most of whom are also artists themselves. I really enjoyed the walk and having our awesome guide Junky Projects explain the history and context of the areas as well as tell us about the artists. 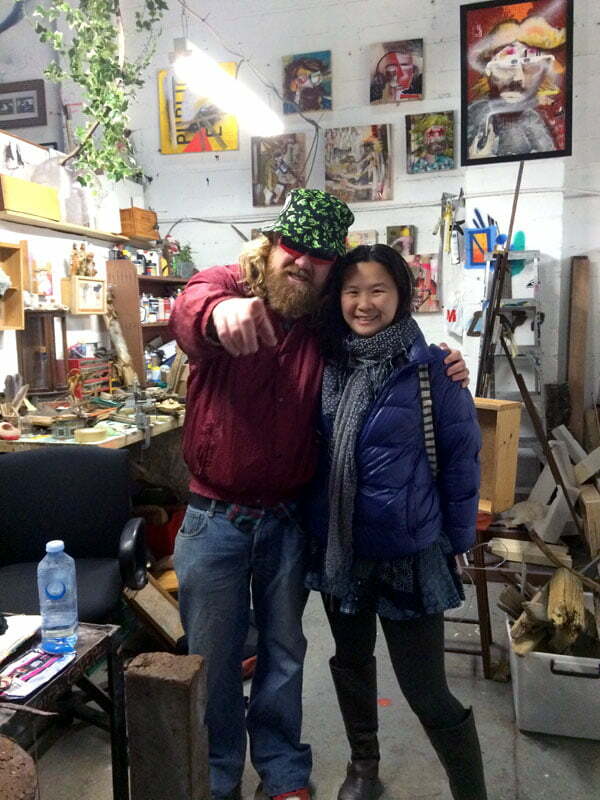 Also, you end the tour at their amazing studio space which is a great chance to chat with any of their artists who happen to be in that day. 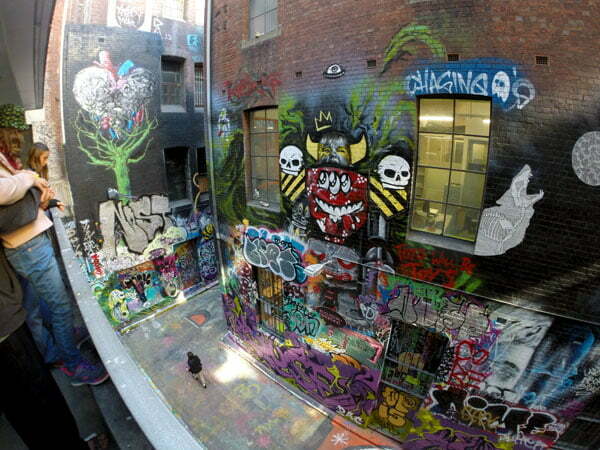 A$69 for a 3-hour tour is the most I’ve paid for any street art / walking tour so far and may be a bit steep if you are on a budget, but other popular tours in Melbourne are around that sort of price range, and it goes to supporting the studio, which for me is money well spent for a good informative tour. 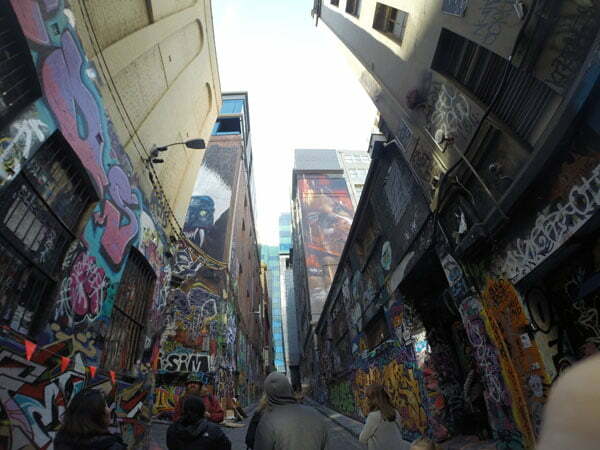 The tour starts at Federation Square, which is directly opposite the most well known street art lane in Melbourne – Hosier Lane is the laneway that connects Flinders Street and Flinders Lane, with Rutledge Lane as a smaller side lane off Hosier. Junky showed us a different vantage point of Rutledge Lane – we took the lift of the neighbouring car park up four floors for a bird’s eye view, and it was a nice way to have a closer look at some of the works that were higher up on the walls. 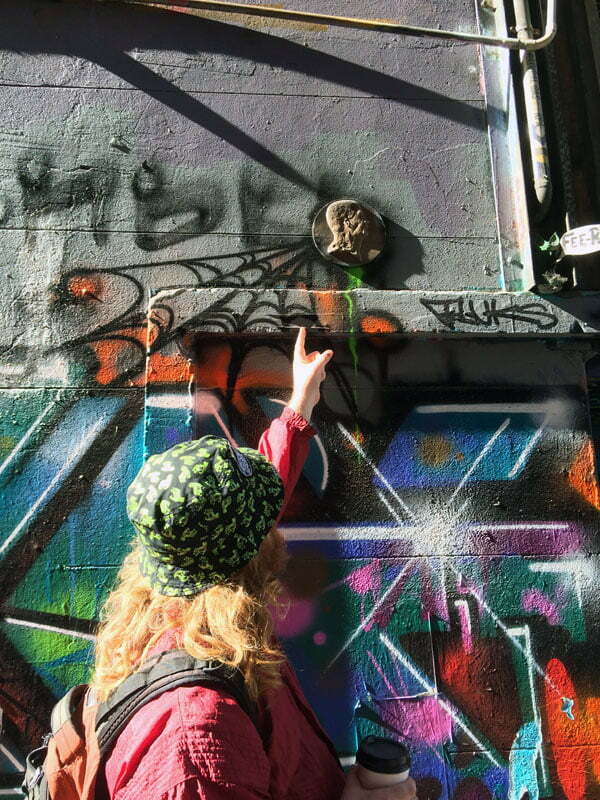 Street art and graffiti is a game of reach – stuff within easy access gets covered more quickly than somewhere that requires a ladder or harness! You probably wouldn’t have known to come up here if you were just a normal tourist walking around! Junky points at things. Good thing too, this one is more obvious but some of the pieces you would just assume are random things that got painted over! 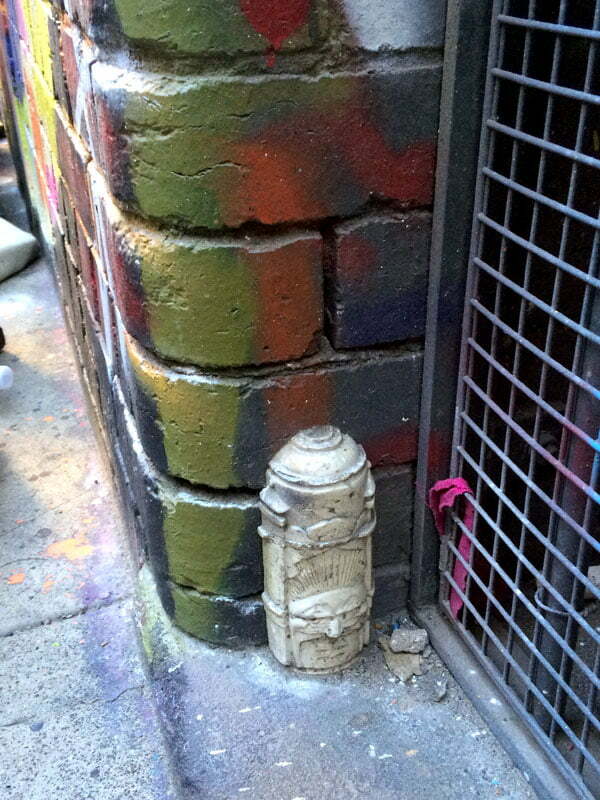 Would you even have noticed this spray can? and the fact that there is a face on it? 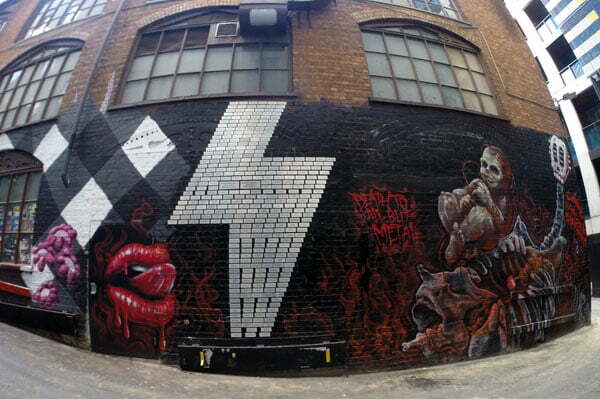 It’s all rock and roll in ACDC Lane! Further down off Flinders Lane are another two oddly named lane ways connected in a U-shape – AC/DC Lane and Duckboard Place. 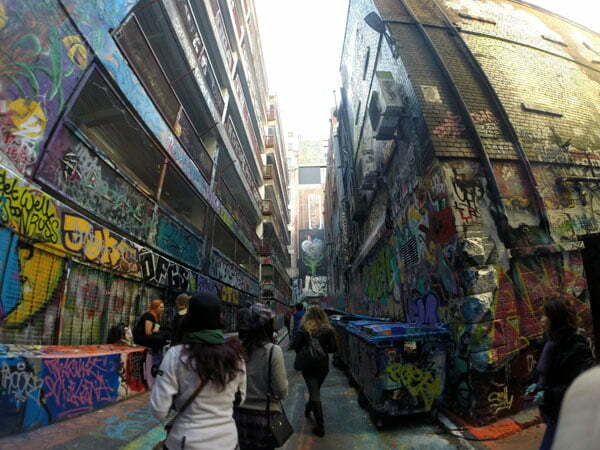 Named for the 80s rock band AC/DC (who I never realized were Australian), this lane and the art work here are tributes to their legacy. One almost expects to hear some hard-rocking music in the background just from looking at the art, and you might if you come at night when Cherry Bar is open, a bar infamous for turning Lady Gaga away to honour their earlier commitment to a local band. 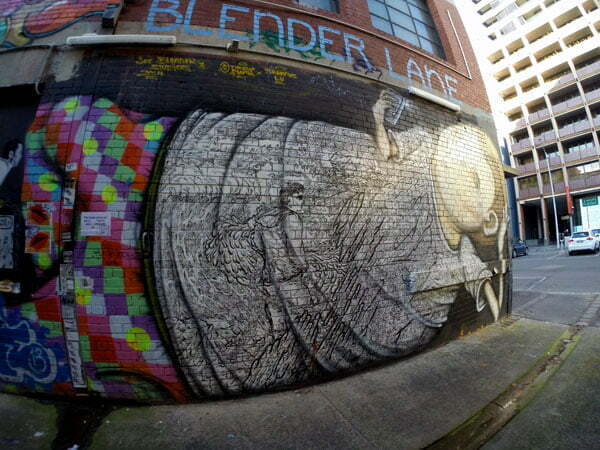 There’s a distinctively rock and roll vibe in this laneway! 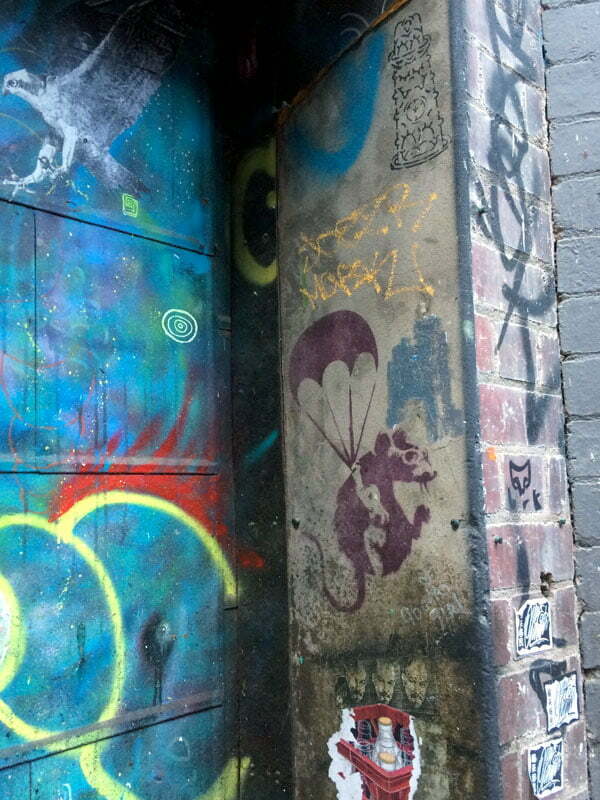 AC/DC Lane connects to Duckboard Place, and its claim to fame is a doorway where you can find the last remaining Banksy works in this city – two stenciled rats on either side of a blue doorway. 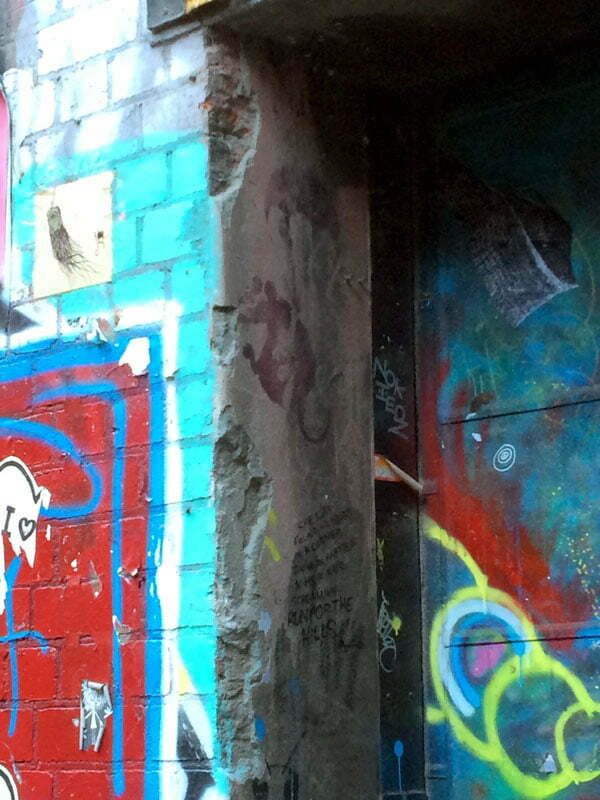 It is a minor miracle that no one’s painted over it yet, but perhaps that is some street artist code. Some of the Banksy works that I saw in London were covered with perspex for protection, though that didn’t do much against really persistent vandals! 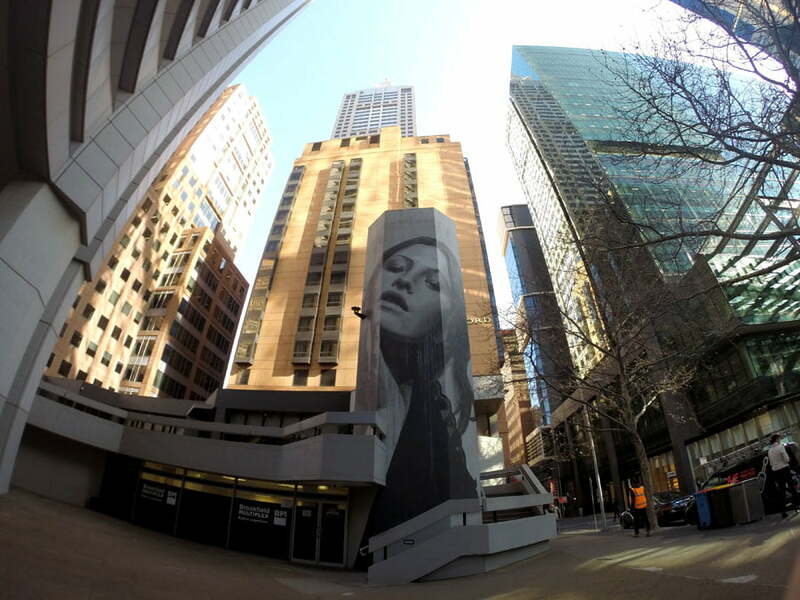 ok this is not exactly ACDC/Duckboard, but this shot of Rone‘s work at 80 Little Collins Street turned out to be one of my favourite street art pictures – I took this with the super wide angle GoPro for that fish-eye effect, but I love how the attention is all on the face. This dead end alley off Little Bourke Street in Chinatown looks a bit dodgy to wander down, but it’s one of those laneways which hides cool little FnB, including the Croft Institute right at the end of the alleyway which once used to be a mental institution, but is a pretty cool bar with novelty syringe shots these days! 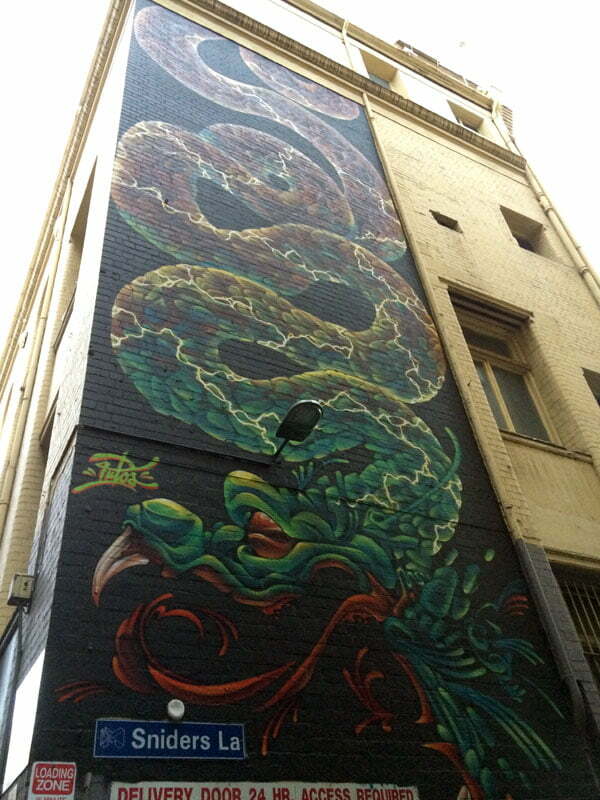 I really like this giant dragon inside the laneway by Putos! Singapore represent! Pretty awesome seeing Singaporean artists on foreign walls! 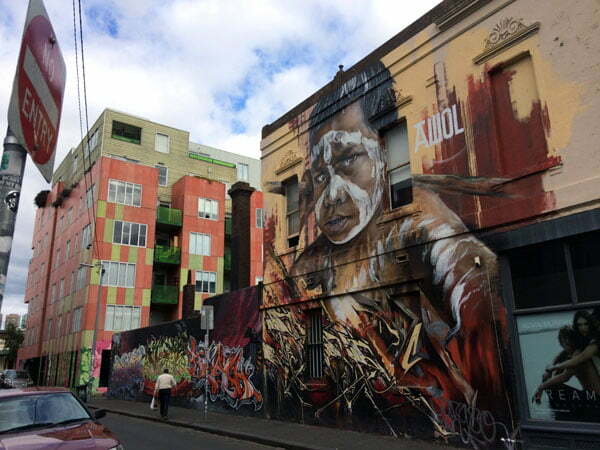 This hipster stretch just outside the main central business district area is a hotbed for street art – I walked down Fitzroy Street to Rose Street for the weekend Rose Street Market and it took longer than I estimated because I kept getting distracted by the amazing works I saw! 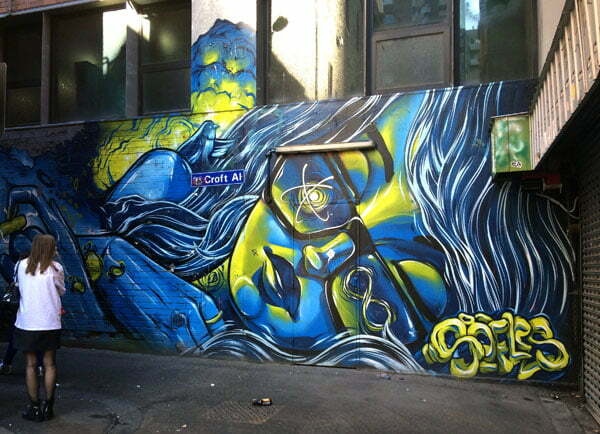 AdNate’s trademark portraits can be found in several spots around the city, and now in Singapore too! I didn’t check the credits unfortunately! Added later (thanks Rob! 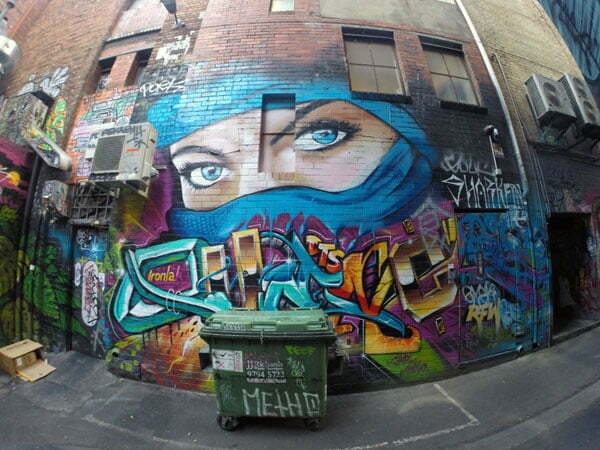 ): This is a collab between 3 artists – Sofles, Smug and Adnate! 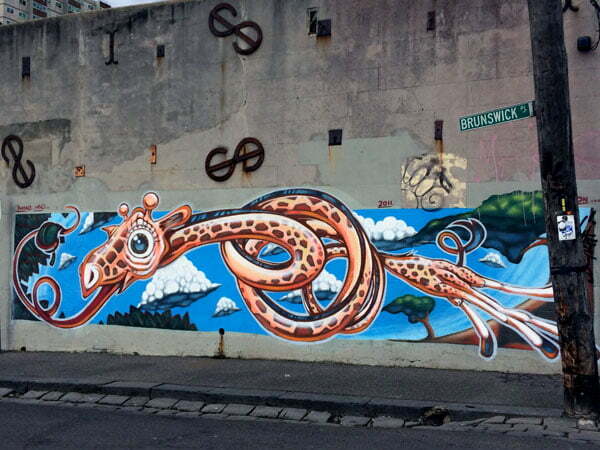 Looking for more street art? 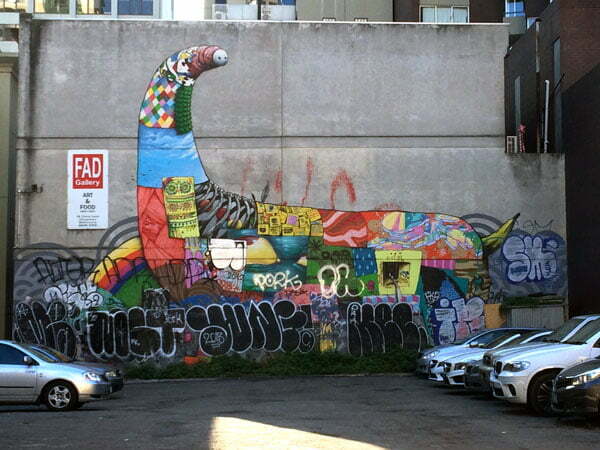 Check out my other street art related guides at theoccasionaltraveller.com/streetart. 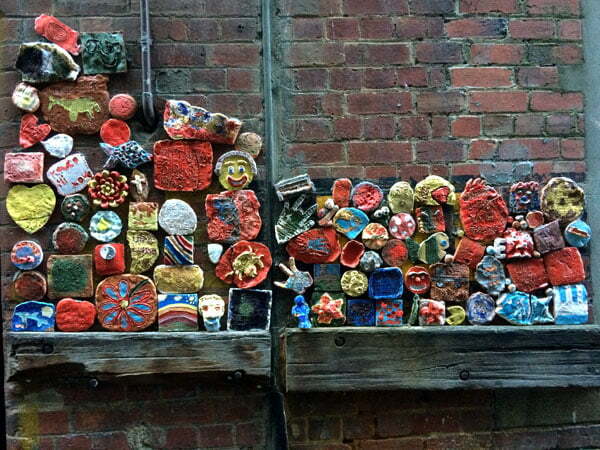 Looking for things to do in Melbourne beyond hunting street art? Why not check out their amazing food and cafe culture? Jaclyn this is great! It is such a lovely article and I find that the photos are lovely as well. 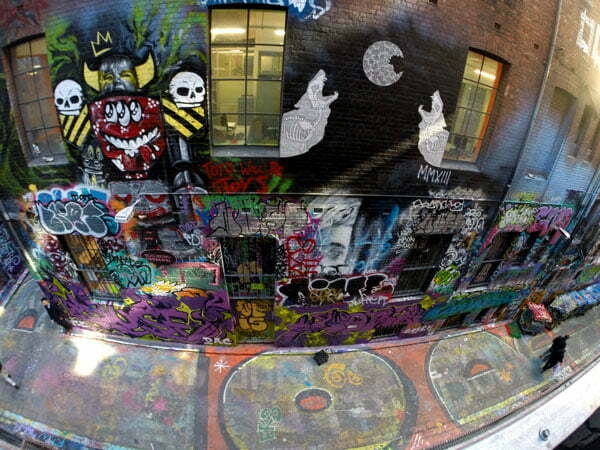 It’s just amazing how you put all these together on where to find street art in melbourne with such great tips! Looking forward to more of these. 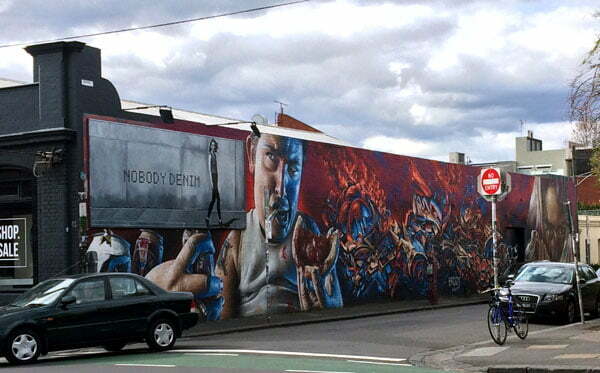 “I didn’t check the credits unfortunately!” The mural in Leicester St, Fitzroy, featuring a cigarette-smoking pie-eater is a combined effort by Sofles, Smug and Adnate.